Dean & DeLuca – you guys really know how to make a food loving girl go crazy…I just got the new catalog in the mail the other day and I have NEVER salivated so much in my life. Every page was filled with decadent gourmet food that I could only imagine how amazing it would taste. I totally felt like a poor stray dog staring at the the delicious meat hanging from the butcher’s shop window. This catalog is my new favorite reading material, because I enjoy reading it over and over again. As far as my wish list from Dean & DeLuca…if I could, my wish list would contain their entire inventory, but since that’s not possible, here are a few of my top picks from their Summer catalog. 1. 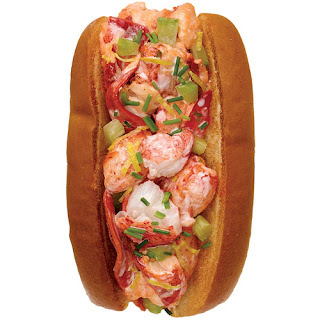 Lobster Rolls – 8 for $135, This by far is the most amazing picture in the entire catalog. 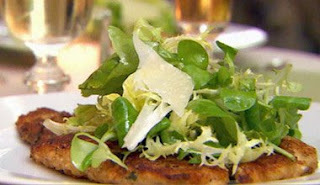 Every time I look at it, all I can think is “WOW that looks delicious!”. 2. 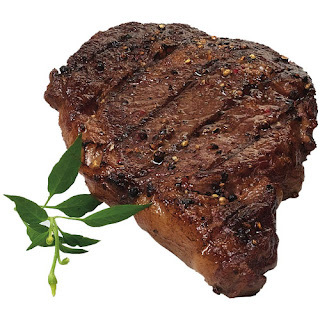 Wagyu Ribeyes- 2 for $140, So the first time I heard about this kind of beef was during the season finale of Top Chef last week, and apparently its suppose to be the “caviar of beefs”. 3. 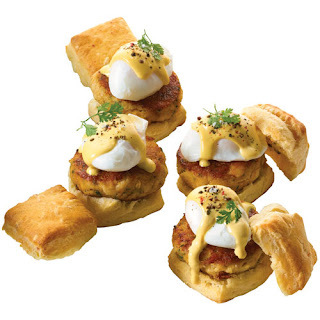 Crab Bennies – 6 for $75, I love eggs benedict and this just brings it to a whole other level! 1. Gateau Nuage Cheesecake – $70, Typically, I don’t eat or even like cheescake due to a traumatic childhood experience which involved vomiting and a trip to the ER. 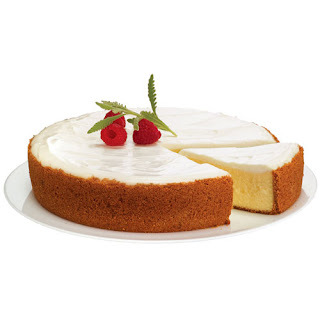 But, I must say this picture of cheesecake actually makes me want to eat cheesecake! So, Dean and DeLuca you could possibly turn this cheesecake hater into a cheesecake lover once again! 2. Gavottes - $25, I’ve been looking all over for these! 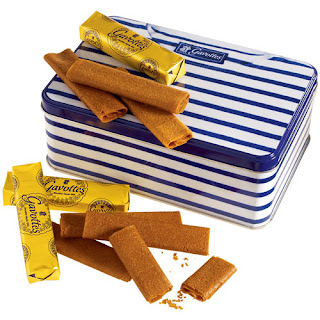 A friend of mine had given me a sample of these lovely cookies when she came back from her trip to Paris and since that day I’ve been wanting to get my hands on a box. 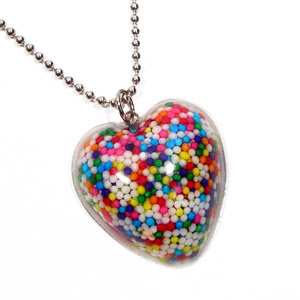 You know cupcakes are the biggest trend when Tiffany & Co. designs some cupcake bling for you to wear! 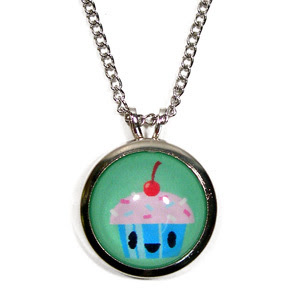 Now you can have your cupcakes and Tiffany’s too! The blingest cupcake of them all! With blue sapphires, pink sapphires, and tsavorites, in yellow & white gold. 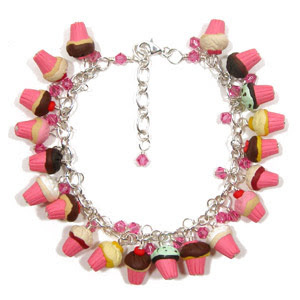 $2,850 for the charm & bracelet…probably the most expensive cupcake you’ll ever buy! 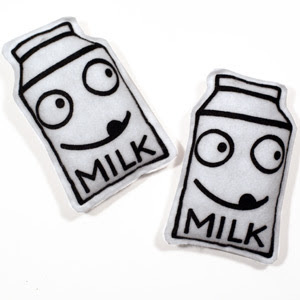 And to wash all that yummy goodness down, here’s a Mr.Milk plushy! How precious is this!?! 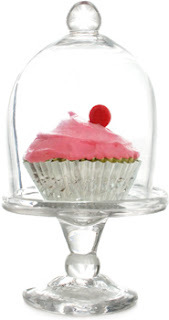 A very cute handblown cupcake stand available at Fred Flare for the low price of…$60! No, that’s not a typo and yes, it really is $60. Why are all the cute things you want always ridiculously expensive??? 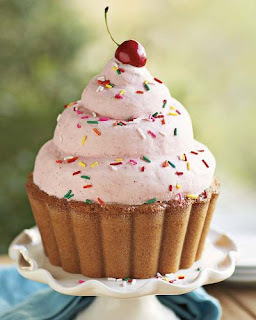 Ok, so I just found out that Williams Sonoma has come out with a new item…The Great Cupcake Pan! 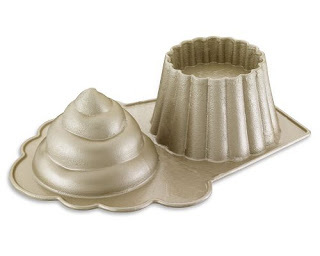 Essentially it’s exactly them same as Wilton’s Giant Cupcake pan except for the cupcake top which is a little different in design and the price. Wilton’s pan has a more rounded top, while Williams Sonoma has a very swirly top and as for the price, Wilton beats Sonoma by just more than a few dollars. You can buy Wilton’s pan at Target for $27, but Sonoma has you paying a hefty price of $35! So, usually I would just go and buy the cheaper version, but this got me thinking…there must be a reason for the $35 price tag…the brand, the quality, but what else??? I need to know if I should buy the the expensive one over the cheap one. 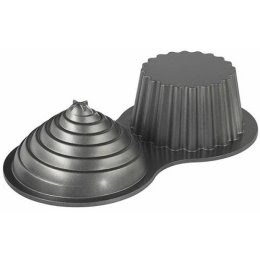 Can anyone tell me their reviews about the Wilton cupcake pan? 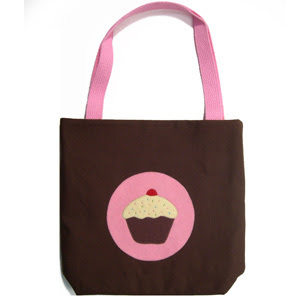 Or if anyone has already bought the Williams Sonoma one, let me know your reviews too! Any help would be greatly appreciated to end this dilemma! Thanks!